Her spirit will dazzle in these beautiful cross earrings! Exquisitely deatiled milgrain design surrounding brilliant CZ's brings out the sparkle and light. A beautiful symbol of the her faith, her light will shine to all those around her. 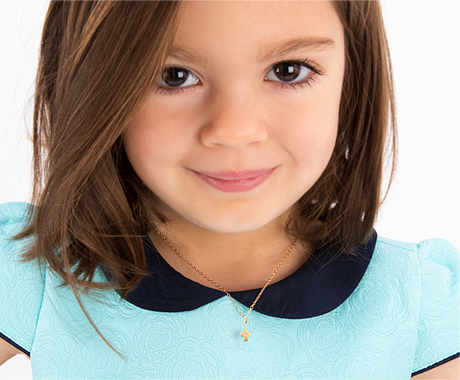 Your little girl will shine even brighter on her special day!